Autotrader's Car Buyer of the Future Study dispels myths about the future of car buying and identifies four key areas retailers need to address to meet the needs of tomorrow's car buyers. ATLANTA, March 31, 2015 /PRNewswire/ -- Autotrader's Car Buyer of the Future study, which was released today, shows that only 17 out of 4002 people prefer the current car buying process, and the rest want significant changes, particularly in the test drive, deal structuring, financing paperwork and service phases. As a leader in the automotive retail space, Autotrader is sharing the findings of the study to aid in the industry's understanding of consumer behavior and help dealers and manufacturers prepare to meet the needs of tomorrow's car buyers. "While there is good work going on right now to adapt decades-old sales processes, consumers are telling us that we as an industry are not moving fast enough," said Jared Rowe, president of Autotrader. "By recognizing—and embracing—the need for change, we have a tremendous opportunity to surprise and delight our consumers." A multiphase study that included a quantitative survey among 4002 car shoppers and buyers, the Car Buyer of the Future study identifies which changes consumers desire, the underlying reasons behind those changes and the benefit to dealers and manufacturers adopting to tomorrow's car buyers. In addition to identifying the changes that consumers do want, the study also dispels some commonly held beliefs about the future of car buying. Some commonly held beliefs about the future of car buying are that sales people will be less important in the future; consumers don't want to negotiate; and that lowest price will always win. In fact, the study shows the opposite. Myth #1: Sales people will be less important in the future. In fact, the dealership and its sales people will continue to play a very important role in the car buying process. Eighty-four percent of consumers in the study indicate that they want to buy a car in person. Further, 43 percent see the dealership as a place to learn. At the dealership, consumers want to validate information they found online and learn about the following: specials, offers, warranty and service. Myth #2: Consumers don't want to negotiate. Over half, 56 percent, of consumers prefer to negotiate, according to the study, and two of the most influential groups in car buying—Millennials and females—also prefer negotiating over flat rate pricing. This is a result of the fact that consumers do not yet trust flat rate pricing, and they feel that they have to negotiate to get a fair price. Myth #3: Lowest price will always win. While price is important to consumers, the dealership experience can trump lowest price: 54 percent say that they would buy from a dealership that offered their preferred experience over lowest price. Additionally, 73 percent report that they are willing to drive farther for a great salesperson, versus 65 percent who are willing to drive to get the lowest price. Test Drives: While 88 percent of consumers say they will not buy a car without test driving it first, the majority report that they do not prefer the way test drives are currently conducted (an accompanied test drive with a sales person). Instead, they want more convenience and less pressure while test driving, such as having the ability to test drive multiple vehicles across brands in a single place and taking a test drive with a product specialist instead of a sales person. Deal Structuring: Negotiating will be a part of the car buying process for the foreseeable future, and consumers indicate that they would like to see a big change in the way they go about negotiating the deal structure. Of those who liked the idea of online deal building, over half, 56 percent, want the ability to start the negotiation on their own terms—preferably online—and 45 percent would like to remain anonymous until they lock in the deal structure. Financing Paperwork: Nearly three fourths of consumers, 72 percent, want to complete the credit application and financing paperwork online. The key factors driving this desire are to save time at the dealership (reported by 72 percent of those who favor online paperwork) and to have less pressure while filling out paperwork (reported by 71 percent of those who favor online paperwork). A separate study conducted by Cox Automotive in 2014, showed that the time buyers spend in the F&I office averages at 61 minutes, more than two thirds the total amount of time they want to spend at the dealership (90 minutes). Moving paperwork online and enabling consumers to complete it on their own time would greatly enhance the in-dealership experience and cut down on the time they spend in the dealership on the day of purchase. Service: When it comes to servicing their vehicles, 83 percent of consumers indicate that they would like to have the ability to access a network of local service centers that honor service agreements. The key factor driving this desire is convenience. Of those who prefer local service networks, 76 percent want to go to a service center close by, and 63 percent want to be able to service the vehicle anywhere. Nearly three fourths (72 percent) of consumers say they would visit dealerships more often if the buying process were improved. Two thirds (66 percent) of consumers say that they would be much more likely to buy from a dealership that offers their preferred experience. Over half (53 percent) of consumers would buy a vehicle more often if the buying process were improved. "The sales environment is expected to remain strong across new, used and CPO cars over the next few years, and it is exciting to see that we have several ways to enhance the consumer experience for the benefit of all involved—buyers, manufacturers and retailers. At Autotrader, we will continue doing our part and working closely with our customers and partners to usher in that new reality," Rowe continued. 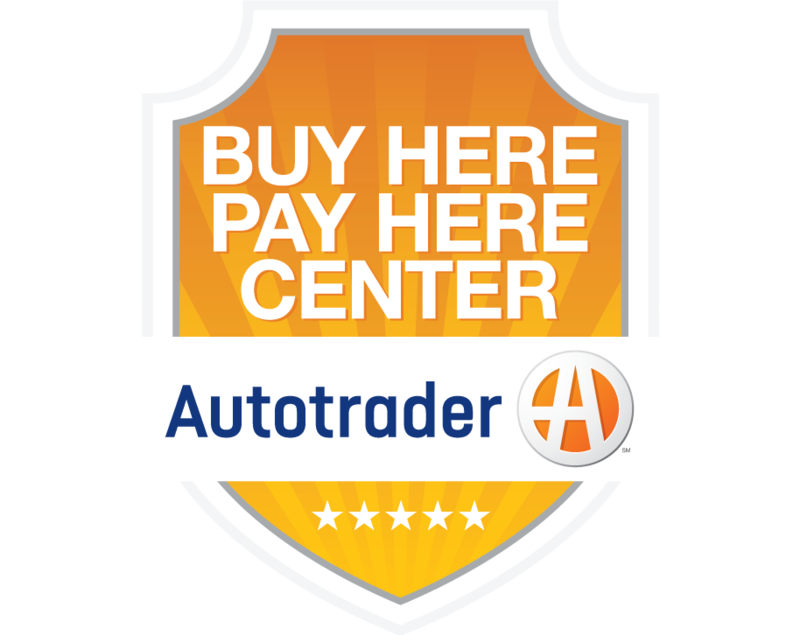 The 2015 Autotrader Car Buyer of the Future study is a multi-phase qualitative and quantitative research study. The phases included four expert interviews, eight car buyer ethnographies, focus groups among 40 new and used car buyers and a quantitative study among 4002 car shoppers and buyers. It was fielded from June through October 2014.